called “way back when…” for 4 & 5 year olds at our local museum. 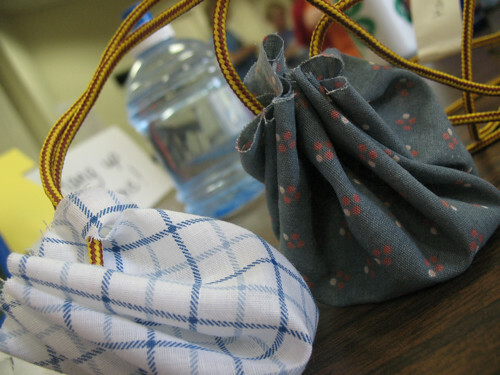 depending on who you asked, these were called pouches or purses (or one little friend insisted it was a BAG). this was a simple 8 inch diameter circle of fabric with little slits cut around the perimeter. 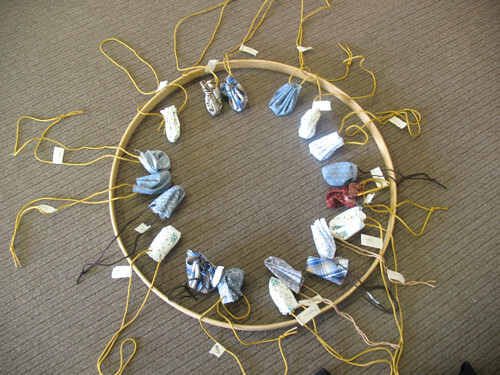 children threaded a shoe lace (i bought the leather looking kind) through each hole (VERY tricky for some of us. we used a piece of tape to hold the lace in place and then took the tape away) and then a teacher tied the ends together. these work as little drawstring bags. 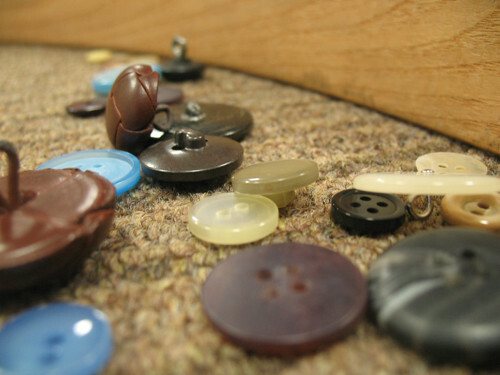 we had a selection of buttons that children counted out and put in their pouch/purse/bag (it happened to be 5 white and 1 colored). You have definitely peeked my curiousity!